Loveness is strong and healthy after receiving RUTF. 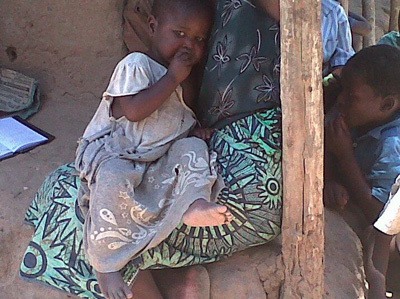 Loveness, a 2 year old girl in Malawi had extremely swollen limbs. Her mother was deeply concerned and took her to a nearby health center. Loveness was malnourished and was admitted to an outpatient health program that provided weekly rations of RUTF. After only 2 weeks, Loveness’s mother started to see improvements and Loveness was gaining weight. Today, Loveness is healthy and continues to gain weight thanks to RUTF and your support! Thanks to RUTF Acraine is now a healthy boy. 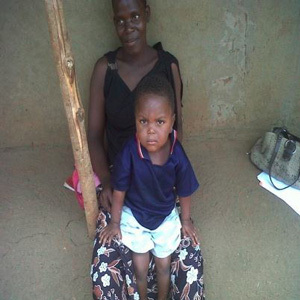 Acraine, pictured left with his mother outside their home is just 2 years old and his small body has been battling illness for much too long. After visiting a health center, Acraine was admitted to an outpatient health program where he received RUTF. Acraine responded well to RUTF and after his second visit his appetite significantly improved. Today, Acraine is healthy, receives monthly growth monitoring checkups and his mother cooks balanced meals thanks to support from the outpatient health program.